Leaky gut seems to be the new hot dis-ease on the streets. As more and more people are showing symptoms of this condition, more research and information is coming out on what it is, what causes it and how to heal it. Leaky gut, also called intestinal permeability, is when the walls of the intestine become damaged and allow undigested food, waste and bacteria to seep through the intestinal walls and enter the blood stream. This puts the body into attack mode causing inflammation and a host of undesirable symptoms. Because there are so many different causes of leaky gut syndrome it’s important to get a full picture of your state of health. Diet is a huge factor and many people see great results by making adjustments to their diet. But if there are other factors causing an issue, diet alone might not solve the problem. It’s important to consult a professional who is knowledgeable about leaky gut to address all the underlying causes. Eliminate inflammatory foods – processed/fast foods, GMO and pesticide laden foods, grains, sugar, dairy, caffeine, alcohol and soy. Colostrum – Supports the health of the gastrointestinal tract by promoting cell growth in the intestines. This helps to soothe inflammation and heal a damaged gut. Chronic conditions are best treated first with a three-day bovine colostrum fast — taking colostrum four times a day to allow the gut time to heal before adding food and beverages other than water. Since probiotics may cross into the bloodstream via a leaky gut, the leaky gut must be healed prior to supplementation. Lactoferrin in colostrum acts as a prebiotic and stimulates the growth of good bacteria in the gut as well. Bone Broth – Highly nutritious, bone broth helps reduce inflammation and heal the gut. Fermented foods – sauerkraut, kimchi, Kombucha, kefir, raw apple cider vinegar (with “mother”). Fermented foods are rich in probiotics, good bacteria that improve digestion, boost immunity and promote a healthy weight. Healthy Fats – avocado, fish, coconut oil, olive oil. Fat is required for the absorption of some vitamins (the fat-soluble vitamins – A, D, E, and K) and it’s essential for the production of hormones. Steamed Vegetables – important source of nutrients, vitamins, phytochemicals and fiber. Gut health is so important to the overall health of an individual. Hippocrates, who is considered one of the most outstanding figures in the history of medicine stated, “all disease begins in the gut.” We cannot heal any disease without first healing the gut. Eighty percent of the immune system is wrapped around the intestines. If the gut cannot do its job properly, we cannot receive all the nutrients from our food and we become malnourished. This has become a widespread problem with the increase in processed and chemically treated foods. 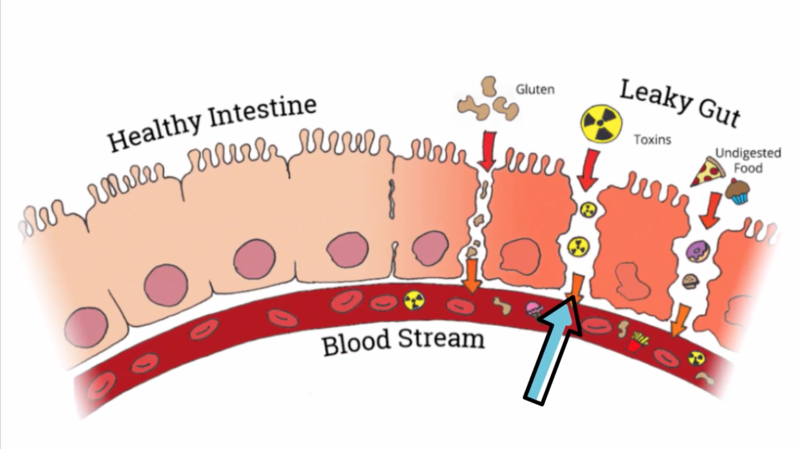 In the case of leaky gut, substances that aren’t supposed to leave the intestines get into the blood stream and cause havoc on the immune system. If you are suffering from any of the symptoms above checking in on your gut health is a great place to start. Try eliminating inflammatory foods and adding more of the healing foods above and see if there are any changes in how you feel. It usually takes a significant amount of time to heal gut imbalances so it’s a good idea to have a plan and support from a specialist, especially if you have more serious symptoms like autoimmune disease or infections. Many naturopaths are highly trained in healing the gut naturally with foods, herbs and natural supplements. I cannot advocate enough about the benefits of using colostrum to heal gut disease and restore a balanced immune system. It reduces inflammation, repairs the damage caused by inflammation and supports the growth of good bacteria essential in healthy digestion. We offer a 30 day money back guarantee on all our colostrum products. Try it risk free and start your journey towards vibrant health.